Germain’s silver langurs are slender monkeys restricted to declining populations in Thailand and Indochina. The adults’ fur is an elegant silvery grey but young silver langurs are a distinctive ginger-orange. 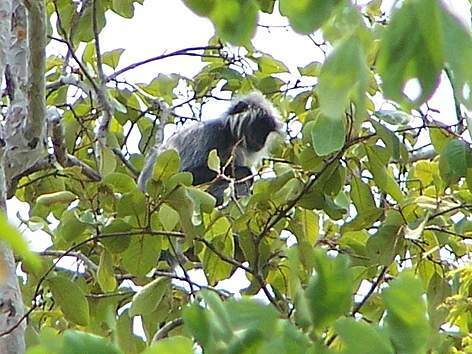 These langurs inhabit semi-evergreen and evergreen forest as well as forests along rivers. While localized and rare throughout most of their range, germain’s silver langurs are still reasonably common in Cambodia, and may be the most common primate in some areas of Mondulkiri’s Eastern Plains Landscape. This species is estimated to have declined by more than 50% in recent decades, and its continued survival relies on protection from hunting for subsistence use and traditional “medicine” as well as from habitat loss.